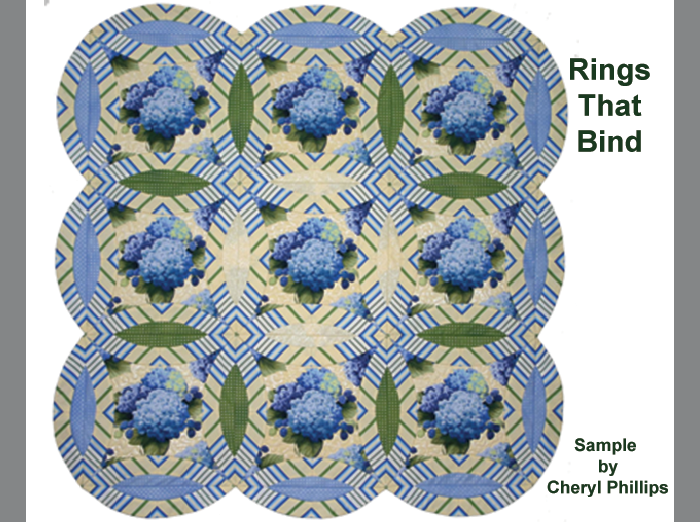 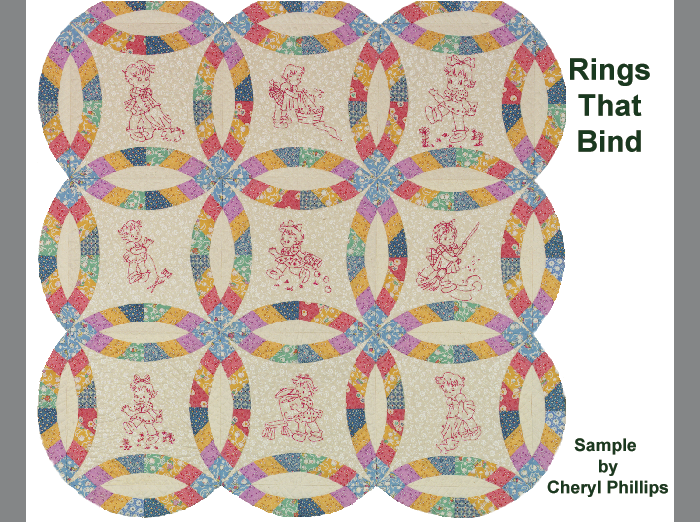 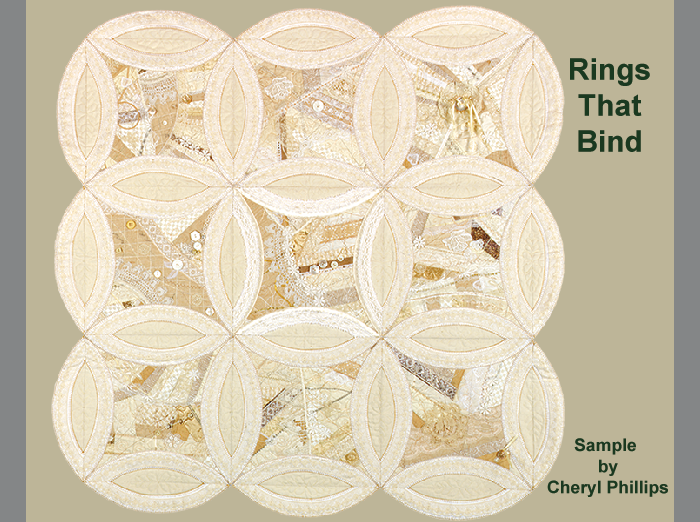 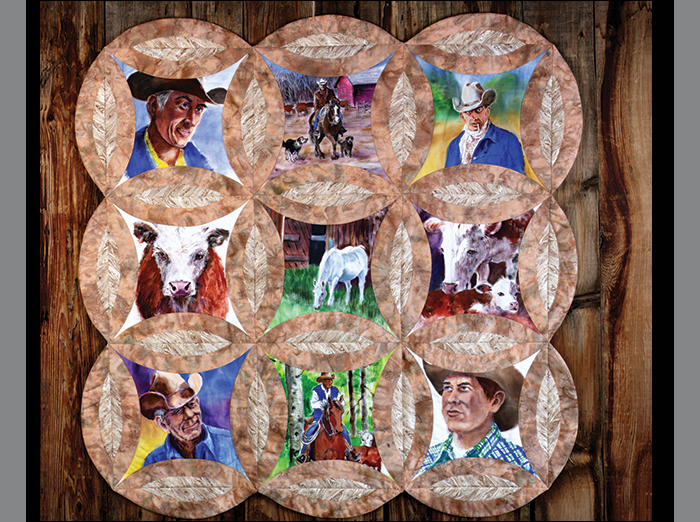 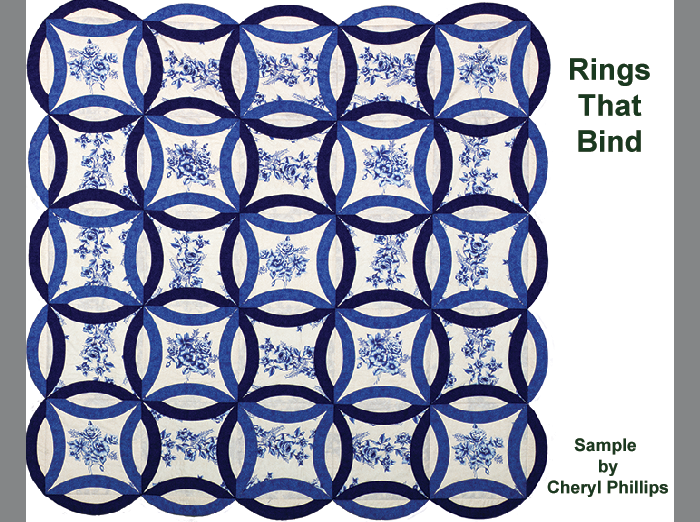 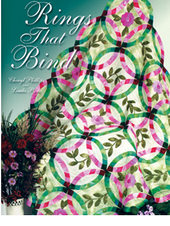 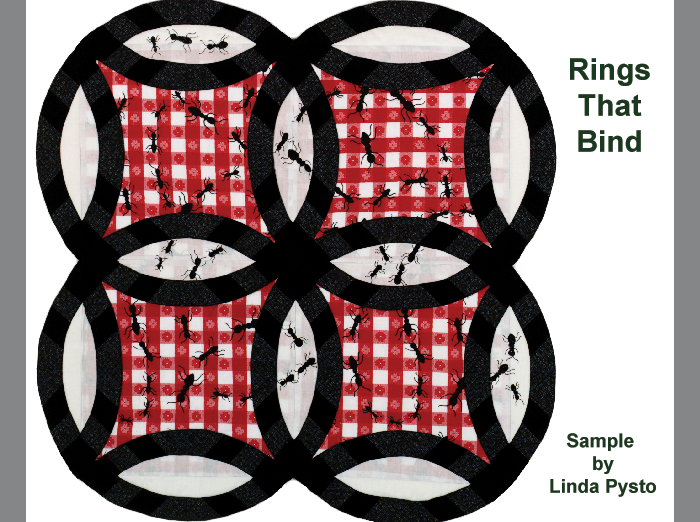 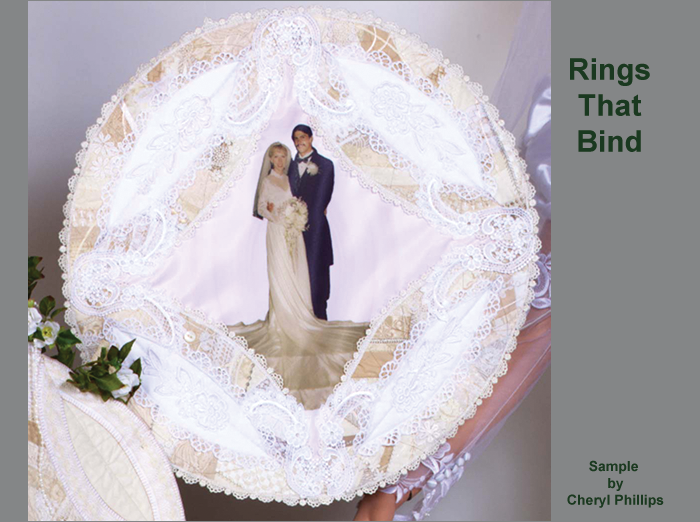 Rings that Bind is our version of the traditional wedding ring quilt. 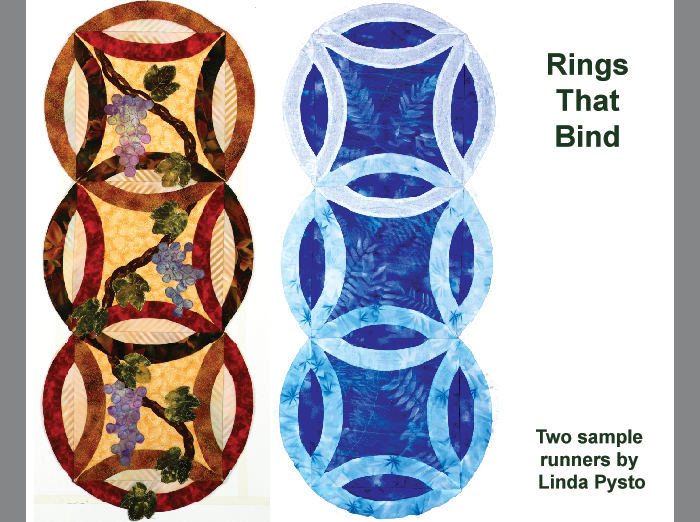 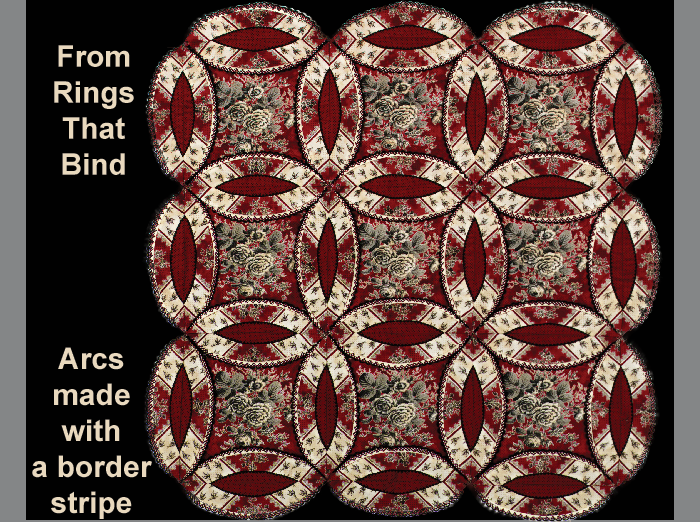 Can you imagine making a Double Wedding Ring Quilt without the tiny pieces, without the curved seams, without the binding, then quilting it block by block? 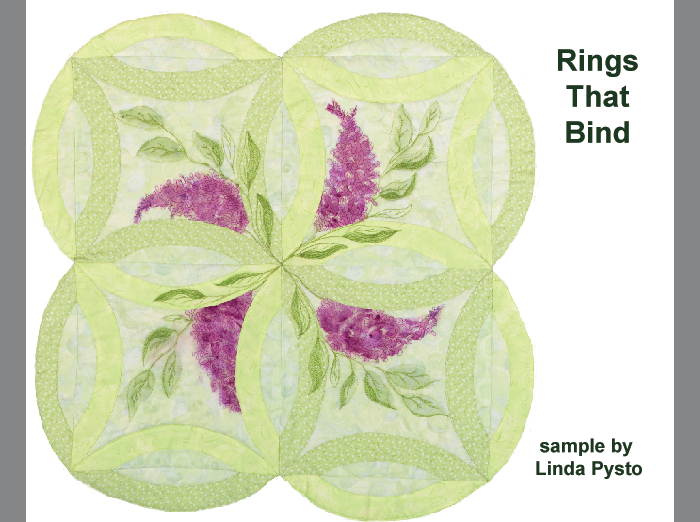 Take a look at some of our wonderful samples from the book! 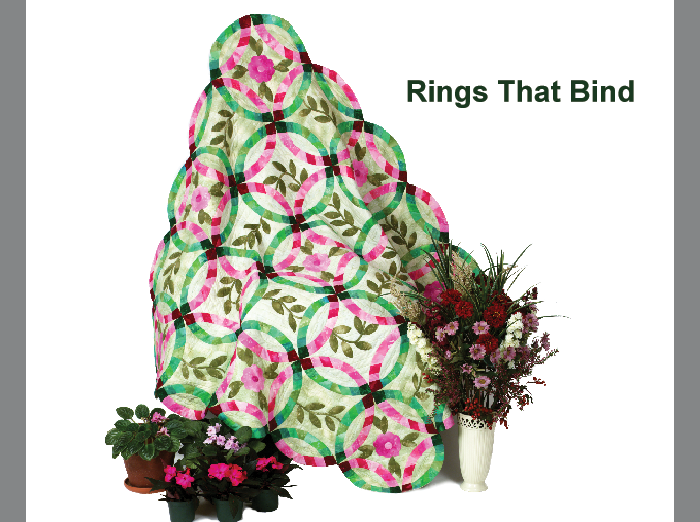 Check out the product Rings That Bind here.